Everyone hopes to have straight, beautiful, and perfect teeth to give them a brilliantly dashing smile. However, not everyone can be lucky enough to be born with a perfect mouth and smile; in fact, most people, including celebrities, have a lot of cosmetic dental work done to achieve their seemingly flawless looks and smiles. Cosmetic dental procedures refer to the various dental treatments that are done to improve the look of a patient’s smile, mainly for aesthetic purposes. These treatments can sometimes improve the function of the patient’s mouth, but they are not a necessity and are usually chosen by the patient to achieve a more pleasing smile. In some cases, a simple tooth replacement or restoration (such as crowns or bridges) is all that’s needed to enhance a smile. There are, however, more complex cases where patients require several cosmetic dental procedures to get the smile that they want. A smile makeover refers to the combination of two or more cosmetic dental procedures done to enhance the look of a patient’s smile. This includes teeth whitening, veneers, crowns, etc. which are all used to improve the aesthetics of your smile. Any dental issues you may have, such as a misaligned bite will need to be treated before undergoing a smile makeover since the makeover focuses predominantly on fixing the appearance of your smile. When considering undergoing a smile makeover, there are several aspects you and your dentist will need to take into consideration. Your facial appearance, skin tone, lips, gums, teeth width, length, colour, and shape will all be considered when deciding which cosmetic procedures you should get. You will also need to let your dentist know what aspects of your mouth, teeth, and smile you dislike and would like to change. This will help paint a clearer picture of exactly what you are looking to achieve with your smile makeover and what procedures should be considered. 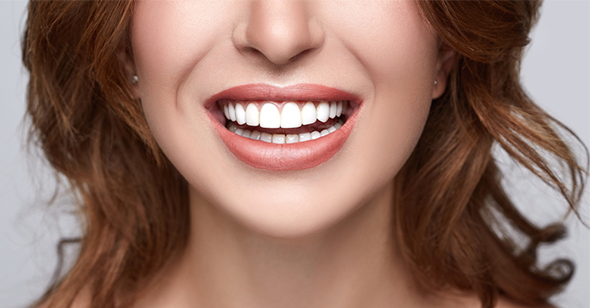 Teeth whitening – Bleaching out all the unsightly stains and discolouration that may have accumulated on your teeth to make it whiter and brighter. Cosmetic veneers – Thin covers which are bonded directly onto the front of your teeth to cover up small cracks, chips, breaks, and gaps. It is also a great way to instantly cover discoloured or stained teeth which regular teeth whitening can’t remove. Dental implants – A permanent tooth replacement option that is surgically fitted directly onto your jaw bone to provide a stronger, more durable tooth replacement. Gum contouring – Using lasers or specialised dental tools to gently reshape the gums if you have over- or undergrown gums. Dental crowns – This is used as a tooth restoration to help repair a damaged tooth. It is a cap-like structure placed directly over the tooth to prevent damage and decay from spreading and to cover up chips, cracks, and breaks in the tooth. Reshaping or resizing the teeth – Some people consider their teeth to be too long, short, wide, or to have an irregular shape. Using specializsed dental tools, your dentist can reshape or resize your tooth to give you the kind of teeth you have always wanted. Dental bridges – This is another tooth replacement option which literally bridges the gap between teeth. The surrounding teeth are prepared and topped with a crown which is then used to anchor the dental bridge, holding it firmly in place. Fillings – Teeth that have experienced decay will begin looking unsightly and can be painful. Dental fillings (which can be made from either metals or a natural composite resin) are used to fill the tooth after the decayed parts have been removed. This prevents the damage from spreading further and provides protection for the tooth. Teeth straightening – Crooked or crowded teeth can easily be corrected through the use of teeth straightening options such as braces and Invisalign. It can help give you a straighter set of teeth and a more perfect smile. When people are unhappy with their smile, they are less likely to speak, smile, or laugh which could negatively affect their daily social interactions. Smile makeovers make use of various cosmetic dental procedures with the primary objective being to improve the aesthetics of your smile, however many of these procedures are also used to better the function of your mouth. Whether you have experienced damaged or decayed teeth which have caused dental problems, a smile makeover can help greatly improve the function of your mouth making biting, chewing, and even speaking easier and better for you. By undergoing a smile makeover, you can choose the ways in which you want to alter and enhance your smile. A smile makeover from Honeysuckle Dental can greatly upgrade or polish your smile. If you’d like to learn more about getting that perfect smile, then speak to one of the trained professionals at Honeysuckle Dental in Newcastle by booking an appointment with us. You can call (02) 4915 9230 or send us a message via our Contact Us page to make your appointment.